Custom-tailored software and hardware components automatically control each operational cycle. 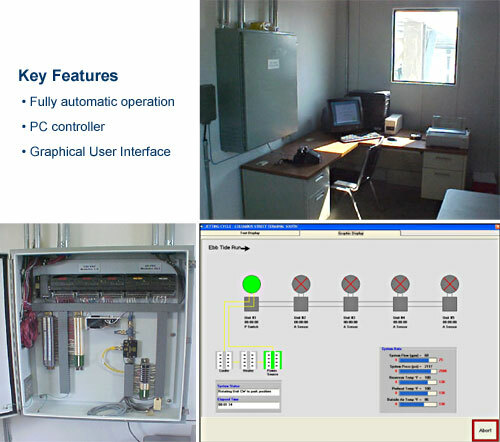 Manual control software is used for routine maintenance and inspection. During regular automatic operation, the system is coordinated with the ebb and flood tidal flows. 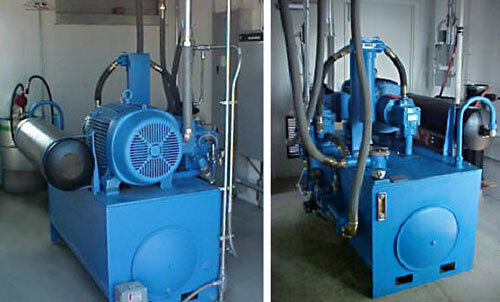 The SedCon® Turbo Units operate in sequence, beginning at the up current end of the system. After all units have run, the system shuts down and waits for the tide to change.